Demolition work has begun at the former Wonderland Greyhound Park, where dogs raced until 2009. In its heyday, from 1935 into the 1980s, Wonderland Greyhound Park in Revere attracted thousands of bettors who rooted for dogs that chased a mechanical rabbit called Swifty around the outdoor track. Wonderland was an economic engine for the city, employing hundreds of people. In the 1980s, the track grossed more than $1 million in bets on four occasions. But with the advent of full-service casinos in Connecticut and Rhode Island in the 1990s, and competition from lottery scratch tickets and offshore gaming, interest in live greyhound racing dwindled. 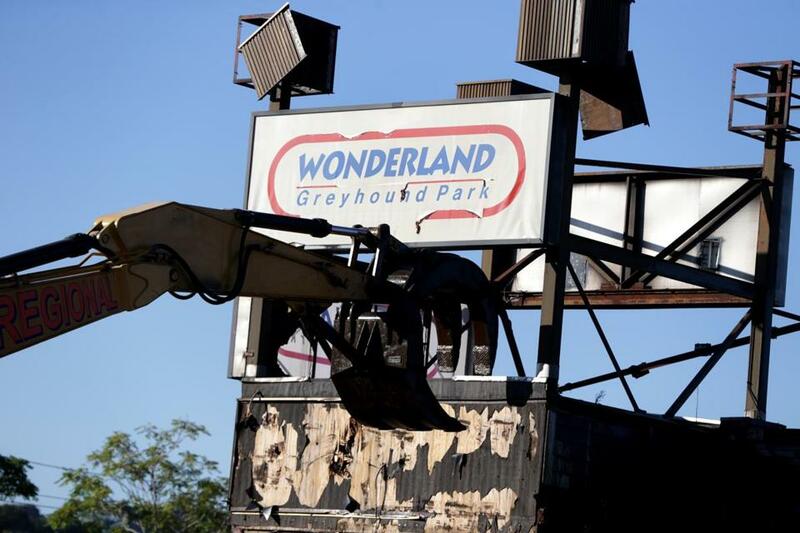 Wonderland held its last live race in 2009, nearly a year after Massachusetts voters approved a ballot question that banned greyhound racing statewide, starting in 2010. Simulcast wagering continued at the track until it closed for good in the summer of 2010. 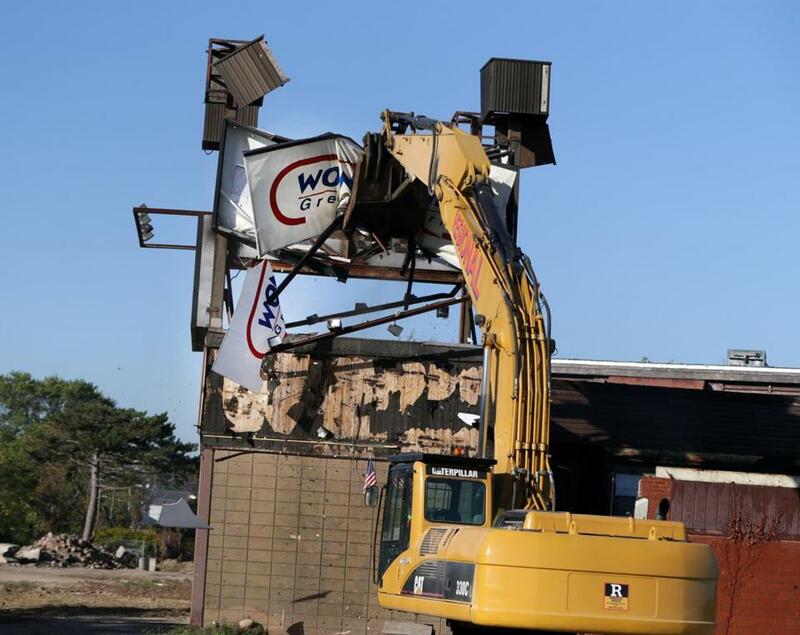 Now relics of a bygone era, Wonderland’s facilities — including the grandstands and clubhouse — are being razed. The track’s owners, CBW Lending, are seeking a buyer for the 38-acre site, which is in a prime location: on VFW Parkway near the Massachusetts Bay Transportation Authority’s Wonderland Station on the Blue Line. Crews are demolishing the track section by section. 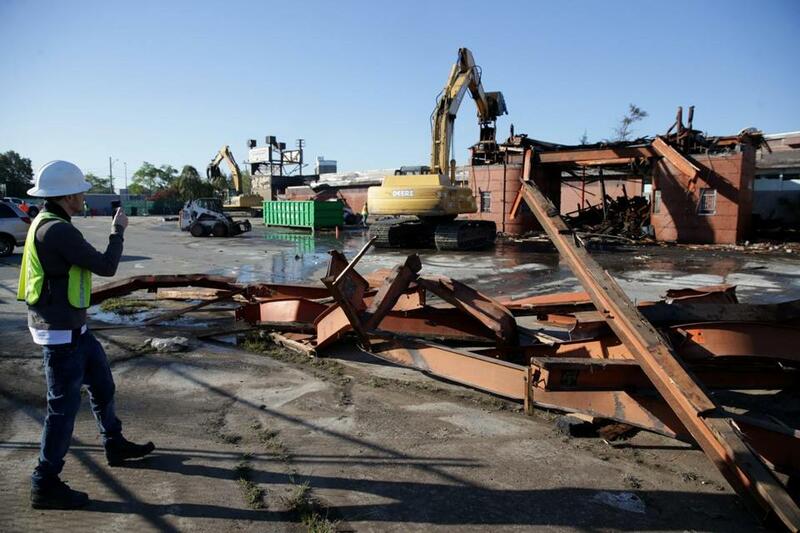 The same outfit — made up of New York and Boston investors — recently sold the nearby Suffolk Downs racetrack for $155 million to a developer who plans to use it for retail space and housing. Revere Mayor Brian Arrigo has said that redeveloping the Wonderland property is key to the city’s economic future.